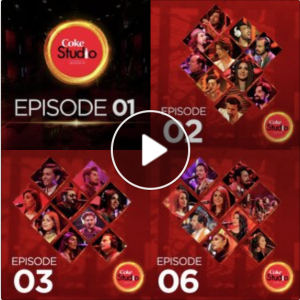 Coke Studio Pakistan, Season 10 – Milliblog top 10 by Milliblog! I found Season 9 middle-of-the-road. In comparison, Season 10 is no better; in fact, I thought season 9 was significantly better when compared to season 10. But a season of Pakistani Coke Studio always has something interesting and worthwhile, at the very least. They are middling only in comparison to earlier, superior seasons. So, here’s my top 10 from Coke Studio Pakistan Season 10. In my view, Chaa rahi kaali ghata embodies the true spirit of Coke Studio. Not only does it present a modernized, but still authentic enough variant of the thumri made popular by Begum Akhtar, but it also, with the help of Sahir Ali Bagga’s original, additional melody, enhance the source it so lovingly adopts. The mix is fantastic when sung so well by Hina Nasrullah and Amanat Ali. Two of Junoon’s iconic songs gets a heady melange here – Saeein and Sayonee. 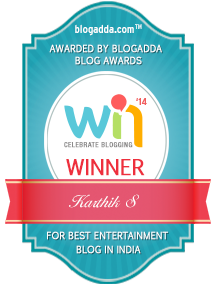 But, the song also includes snatches of Meri awaaz suno and Ghoom, to take the mix to an interesting high. Mixing a very-similarly styled Saaein on top of Sayonee is a great idea, particularly when it powers the ecstatic and frenzied ending where the Guitar mavens come together and the song reaches a fever pitch that is almost hypnotic! I hear Pakistani fans are outraged over this song’s interpretation, particularly Rahat Fateh Ali Khan’s vocals! I love it, though. The charm of Siraiki dialect and the immensely catchy rhythm layered on top of the mandolin aping the iktara! And Aima Beg’s vocals… uff! Sahir Ali Bagga’s music kicks in so much swag particularly towards the middle when he gets the singers into a face-off mode, amping up the rhythms! This song hardly requires any introduction, given the incredibly powerful original from Pakistan and the extraordinarily entertaining stolen Indian film version by Viju Shah. But the tune’s magic remains intact. Umair Jaswal and Jabar Abbas offer wonderfully spirited vocals with the guitars acting almost like the 3rd voice! One can seldom go wrong using a raag like Bhairvi and when you have 2 fantastic singers like Javed Bashir and Akbar Ali as lead singers, you can only get better! Their vocal dexterity takes the song to a new high, particularly Akbar Ali who gets to showcase his incredible range as he plays with the raag’s flow wonderfully. This is yet another example of spirituality coexisting with art, here in the form of music. The pop prelude paves way for a highly lush sufi sound that we have all come to love since it has been aped ever since so many times. The way the chorus picks up the thread from the lead singers and offer their counter-point and backing is absolutely brilliant! Much like Chaa rahi kaali ghata, Jindjaani sees Ali Hamza acing a mix of the old and the new. He picks up the lilting folk melody of Jhanjar Phabdi Na and finds it an apt compliment in his own new melody. Getting Nirmal Roy is a super decision because her sweet voice enhances the mix manifold. This song is a great showcase of 3 women – Aima Baig, Rachel Viccaji and Humera Arshad. Humera, in fact, is handed over the semi-classical original made popular by Runa Laila in Umrao Jaan Ada (among other versions), and Ali Hamza layers in the pulsating, and often distracting rock parts quite confidently. The handover from Humera, to Aima and Rachel is the song’s stunning highlight. Tonally, Ali Sethi is a far cry from Mehdi Hassan, but he no doubt makes it his own, bringing his own brand of melancholy to the beautiful melody. His voice is calm and goes so well—particularly in the longer stretches—with the piercing pathos in the lyrics, while Jaffer Zaidi keeps the music aptly basic to evoke the modern-day ghazal feel, along with a nuanced and appropriate backing chorus. The find of this season is easily Danyal Zafar, Ali Zafar’s brother! The man was excellent with his singing in Muntazir (with Momina Mustehsan, in episode 1), but here he lets his flamboyant brother take center-stage with the vocals while he’s content playing the guitar alongside… and aces it! Ali Zafar, on his part, completely showboats the song with his incredible singing, complete with a superb falsetto towards the end and full-on drama in terms of taking off his jacket! The reggae-blues infused tune is perfect for the brothers, and Ali almost recreates his Rockstar vibe from Season 9.